I spend a lot of time in airports. Airports are like kids. They can be a CAUSE of Adultitis or they can be a CURE for Adultitis. Sara Alvarado LOVES airports. She gets a kick out of watching all the people with Adultitis freak out over stuff that in the grand scheme of things, don’t really matter. 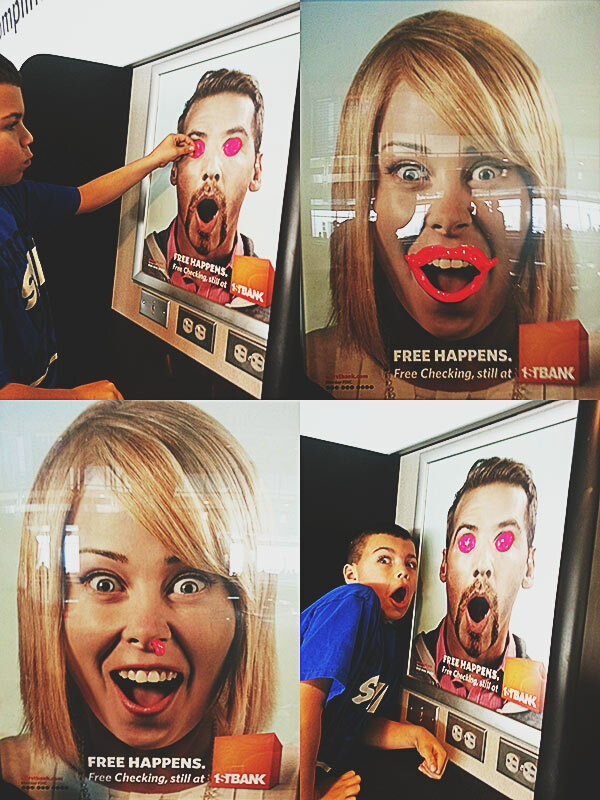 On a recent visit to the Denver Airport, Sara and her son Leo bought some silly putty and did a little redecorating to some advertisements hanging on the wall. It doesn’t take much to ground Adultitis. Lucky for us, we have people like Sara to show us how easy (and fun) it can be.